Figure Drawing: Process – Emma Teaches Art! 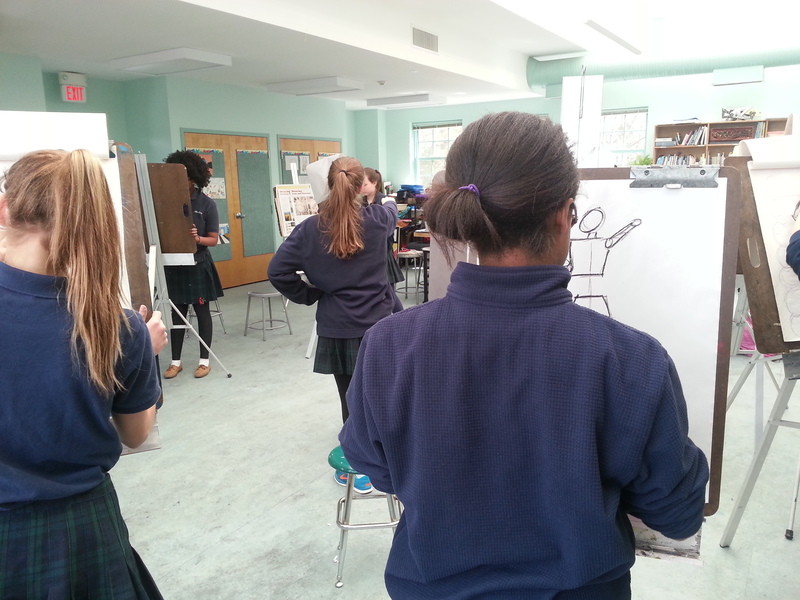 So here are some action shots of my students working on their gesture drawings. These drawings were done using two of the elements of art, line and shape, to build a figure that was proportionate and captured the figure’s pose. 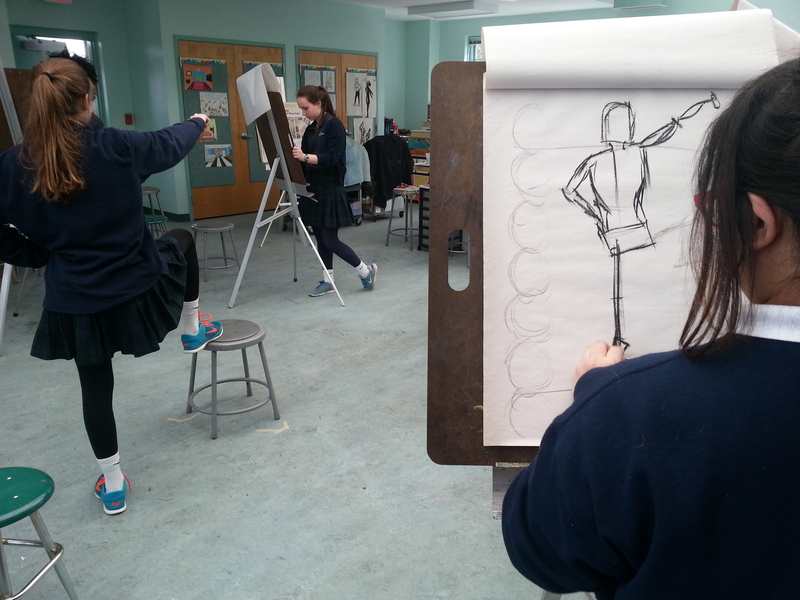 Students started (last week) with pencil drawings of small mannequins in their sketchbooks. 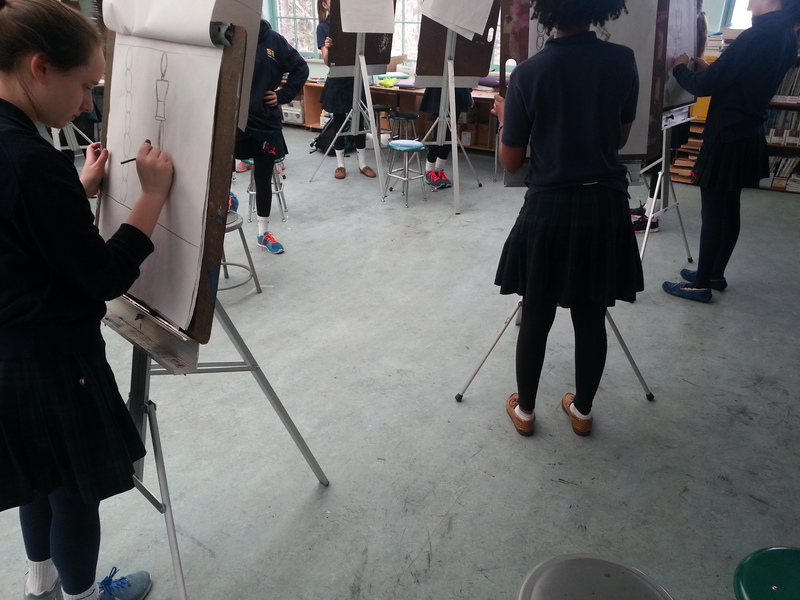 Next, each student moved on to drawing figures with charcoal on large sheets of paper. These larger drawings were done while we stood and worked on boards set on easels. Each student did many gesture drawings of each member of their class in turn. Each of these drawings took a very short amount of time ranging from thirty seconds to two minutes. The final drawing was an observational drawing of a figure that took ten to fifteen minutes total, and I will follow up with a post showcasing those later. Awesome! I love when students serve as each other’s models. I’ve had a surprising amount of success with this in even younger age groups as well.